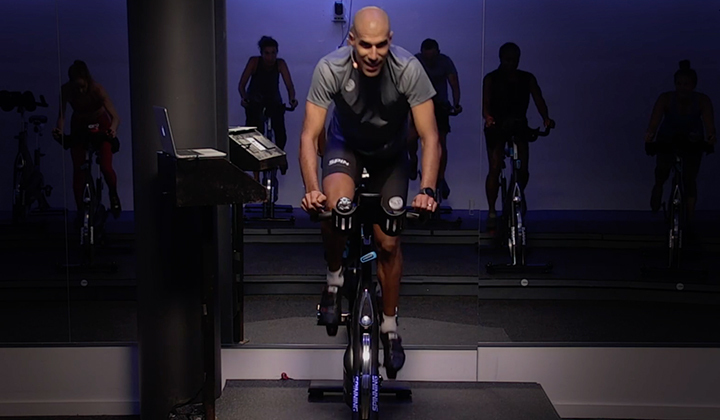 Discover how two Spinning® MIs from Chile took on a field of nearly 1,500 riders and—with the help of their indoor cycling training—came out on top! The Gran Fondo New York started as a century ride for riders looking to challenge themselves. Since its first event in New York City, the GFNY has grown to over 15 annual races with thousands of competitors participating on every continent. 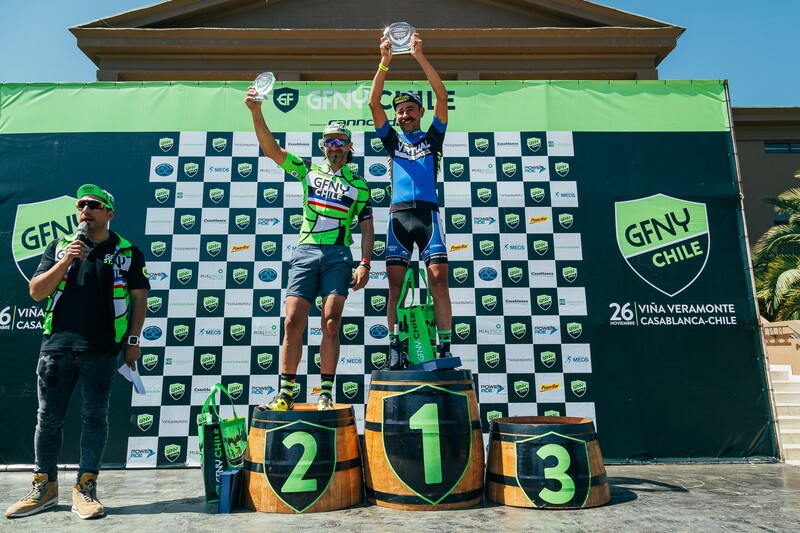 So when a GFNY race came to Chile for the first time on November 26, Spinning® Master Instructors Nestor Salinas and Rodrigo Vilches could not pass up the opportunity. These two Spinning® legends came well-prepared for a 100-mile, 4-hour-long race. Both have been leading Spinning® classes for over a decade and taking part in marathon rides like Skymorphosis (a special event taking place on Chile’s tallest skyscraper). But it turned out their Spinning® training propelled them to success more than they could’ve imagined. Nestor finished second overall in 4:16:11, just five minutes behind the first-place finisher. Not to be outdone, Rodrigo finished second in his division (Men’s age 45-49) with a time of 4:29:37. Both of them credit their Spinning® training with helping them achieve these podium finishes. The city of Casablanca set the stage for Rodrigo, Nestor, and nearly 1,500 other riders from all over the world. But the beauty of Chile’s wine country concealed the incredible difficulty of the course ahead. The 100-mile loop ascended nearly 1,800 meters over several steep climbs, including “El Muro de Tunquen” (known in English simply as “The Wall”) with a 28% max gradient. At the 43-kilometer mark, Nestor broke away alone from the peloton to catch up with the lead pack. Just 25 kilometers before “the Wall,” Rodrigo and a group of riders also broke away for the main group and chased after Nestor and the lead group. 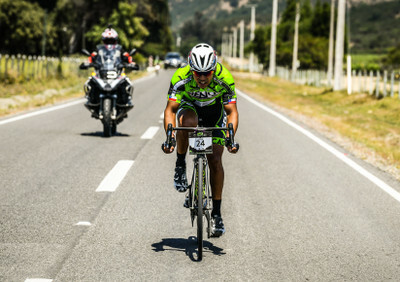 After some climbing, jostling and attacks, Alejandro Alvarez of the Chilean Cycling National Team took home first place, with Nestor finishing just under five minutes behind. Rodrigo stayed in the pursuing group, finishing 24th overall out of 1,000+ finishers. 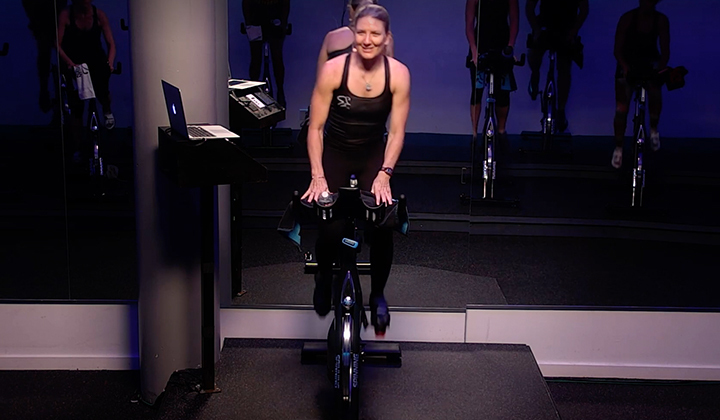 Both MIs expressed pride in representing the Spinning® program and demonstrating how Spinning® training directly improves riders’ outdoor training. But they also acknowledge that it took a lot of preparation and careful planning to achieve their podium finishes. 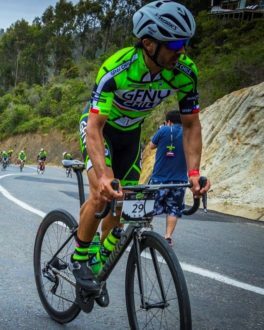 While balancing a full schedule of Spinning® trainings and classes, Nestor credits power meter technology on his outdoor rides and the emotional support of his wife, family and friends for his race training. 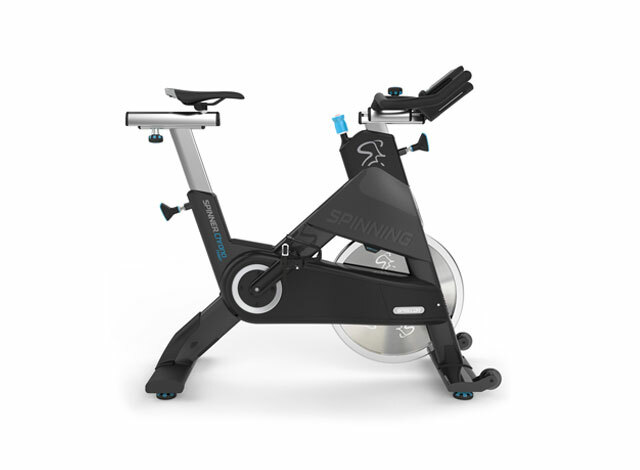 Nestor and Rodrigo also credit movements like the Seated Flat and Seated Climb with helping them through those long arduous ascents, as well as the Spinning® Energy Zones® for keeping them above, at or below their aerobic thresholds. 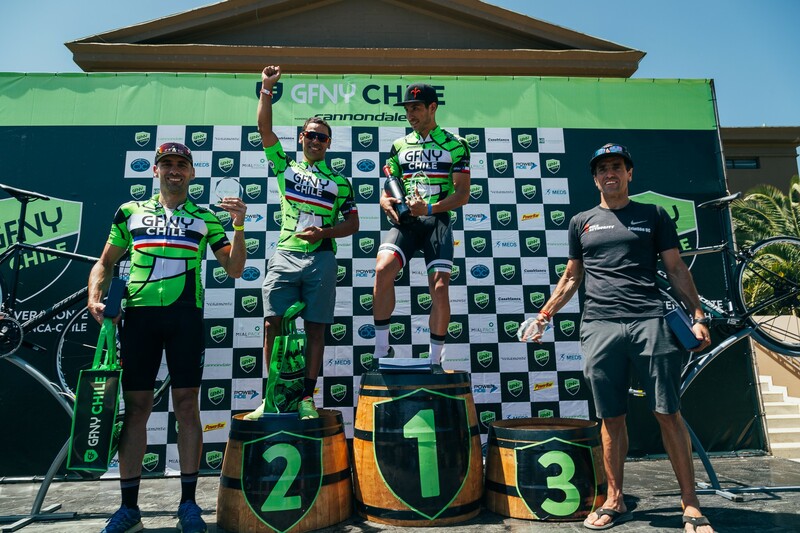 They hope that their success at the GFNY Chile will inspire riders to pursue even greater cycling avenues outside of their Spinning® classes, whether they be competitive or recreational. Do you have great results in races or competition? 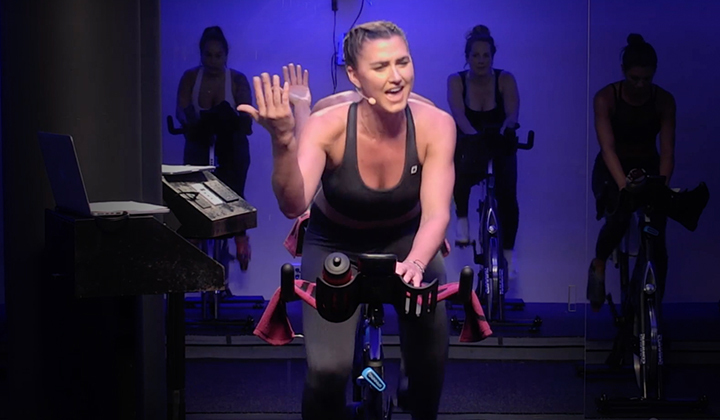 Share them in the comments below or on the official Spinning® Facebook page!